I’ve started my journey with fitness trackers / smart watches with a Fibit that I got for my birthday. As I used to workout I’ve decided that it was time to upgrade to something that had a HR sensor so I bought a second hand Apple Watch Series 1 who did good until it began to work very slow and was basically staying on my desk most of the time. Apple Watch Series 1 was great at start, but sometimes I felt the need to just wear my regular watch and still be able to track my steps. So I got the new Fitbit Flex 2 which was a lot smaller than the first one and was water resistant too (you can see the review here). 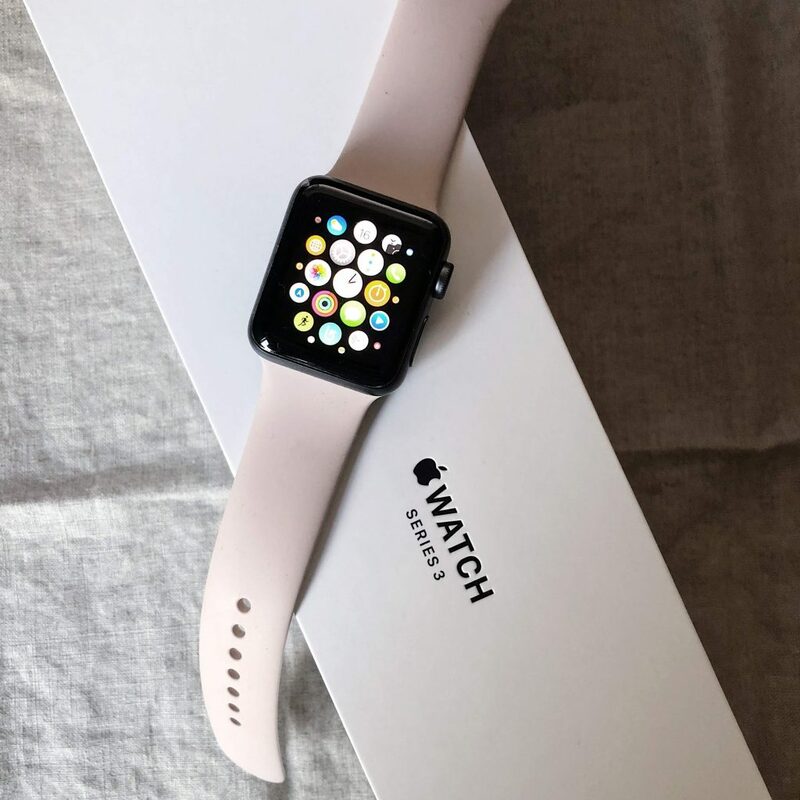 I then, had a lot of second thoughts, decided that I want to start exercise again and wear my Apple Watch, so I sold the first one, save some money and bought the Apple Watch Series 3 and that brings us now. So, many people before buying something, wander if they actually need it. I am honest, I didn’t actually need it, but in the end is really handy to have one. I don’t wear it everyday, but in the days that I do I find that I use my phone less which is actually a pretty good thing because I receive calls, messages, notifications and emails on it so I don’t have to have my phone in my hand every time. Sometimes I even try to walk more to accomplish my goal for the day so bonus points for keeping me active. I can put my phone in my bag / pocket and I don’t have to worry that I don’t hear it ringing. When I am at University I don’t have to get my phone out of my pocket every time it vibrates, I just take a look at my wrist and see if it’s important or not. It’s really handy for quick messages. You can easily send a preset one or just draw some letters with your fingers. Battery for this one is super good and I charge it every 2 days or so, depends on how much I wear it in a day. It’s big. I have the 38 mm version but I still find it bulky and not that elegant so when I have to dress fancy I don’t feel like wearing it would be a great match. It’s good to have it there but you don’t actually need it. Unless you’re into fitness and want to track everything. I would say it’s expensive but I do believe that it offers a lot of things for the price you pay. In conclusion, unless you are interested in tracking your fitness or you’re a busy person who likes to stay connected all the time, you don’t really need an Apple Watch but if you just want one, go ahead and buy it as you will for sure not gonna regret doing so. It does come handy whenever you wear it, and if you do chose to wear it every moment of the day it will help you a lot. So for me it’s somewhere in the middle and I’m planning to wear it every day for a week in the future and see what I feel about it then (of course I’ll write a post haha). Find more about the Apple Watch Series 3 here. You are lucky to have a Apple watch! I want one, but maybe a smaller version. Thank you for presenting the good and bad things about it. Hugs! Thank you for reading! The one I had is the smaller version and unfortunately they don’t have a smaller one..